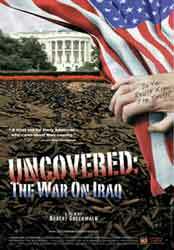 Uncovered: The War on Iraq, filmmaker Robert Greenwald chronicles the Bush Administration’s determined quest to invade Iraq following the events of September 11, 2001. The film deconstructs the administration’s case for war through interviews with U.S intelligence and defense officials, foreign service experts, and U.N. weapons inspectors — including a former CIA director, a former ambassador to Saudi Arabia and even President Bush’s Secretary of the Army. Their analyses and conclusions are sobering, and often disturbing, regardless of one’s political affiliations. 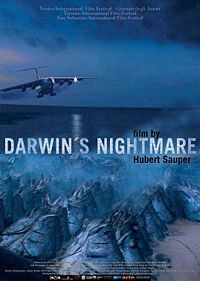 In studying and watching the various political documentaries on the Iraq war I came across this film. Robert Greenwald also made the film Outfoxed: Rupert Murdoch’s War on Journalism, which you can see here. It doesn’t seem as polished to me as some of the others, and reiterates some of the same messages, but I thought it was still interesting. All these films fill in missing pieces or new perspectives that the other doesn’t. Many of these films obviously have a more “left” leaning perspective. Again, I don’t really consider myself “left” or “right” or any of those politically contrived, and in my mind, meaningless distinctions. I consider myself a part of the world, a part of human kind, and therefore what happens to the world and its people, is a reflection of myself. I know this may sound too “new age” for many, but then again, I think maybe you are projecting your own judgements and preconceptions. It is circular, until you reflect on your own self, who you are and what is going on in your own consciousness, I don’t think you can even begin to look outside of yourself. Once you start to consider your own consciousness and existence, many of the beliefs and judgements you have about the world and those beings in it, start to crumble into dust. What is born from those ashes is a much different view of the world, one that many won’t be able to understand or accept. And how can they? How can you understand or know about something if you’ve never experienced it? It’s not that a being is “better” than you, they have just gone on a different path. Every path we choose has benefits and difficulties in this world. But until you are open to looking at and changing yourself, I don’t think you can hope to affect changes in the outside world. Simply by changing yourself inside, you will undoubtedly change the outside. Some time in the 1960’s, in the heart of Africa, a new animal was introduced into Lake Victoria as a little scientific experiment. The Nile Perch, a voracious predator, extinguished almost the entire stock of the native fish species. However, the new fish multiplied so fast, that its white fillets are today exported all around the world. Huge hulking ex-Soviet cargo planes come daily to collect the latest catch in exchange for their southbound cargo… Kalashnikovs and ammunitions for the uncounted wars in the dark center of the continent. spacer This booming multinational industry of fish and weapons has created an ungodly globalized alliance on the shores of the world’s biggest tropical lake: an army of local fishermen, World bank agents, homeless children, African ministers, EU-commissioners, Tanzanian prostitutes and Russian pilots. This is another good film that bridges many of the issues that I’ve been talking about: environment, food/animal use, politics and war. It’s not a very easy film to watch, but is very impacting. I gives a very down to earth portrait of how and why people end up in different circumstances. This film certainly deserves your attention.